De supergroep The Jelly Jam bestaat uit John Myung (Dream Theater), Rod Morgenstein (Dixie Dreg / Winger) en Ty Tabor (King X) en hoewel de bandleden ruim bekend zijn binnen de rock en metal wereld, is The Jelly Jam dit minder. Het vierde album ‘Profit’ is op 27 mei via Mascot Label Group uitgebracht en is zeker een aanrader voor rockliefhebbers om te beluisteren. Wij spraken drummer Rod Morgenstein over het The Jelly Jam, wat het nieuwe album voor de band betekend, het eindelijk touren als The Jelly Jam en meer! Q: Hi and thanks for taking the time to do this interview. How are you? Rod: I am very excited about the upcoming release of the band's new cd, 'PROFIT' and the upcoming summer tour, which will actually be the first time John, Ty, and I will be jamming on stage as a touring entity. Q: The new record ‘Profit’ is coming out soon. What are your hopes and expectations for this release? Rod: The band hopes that the new cd will move the band from 'side project' status to full-on recording/touring band. We rehearsed last week for several days at John's place and the general consensus is - it's gonna be awesome! Q: Can you tell us a bit more about what the record is all about musicwise? What can the listener expect to hear on it? Rod: There is a diverse musical landscape on the ‘PROFIT’ cd, with all kinds of musical elements to be found throughout the various songs. Some of the music is straight ahead, riff-heavy, head banging, easy to tap your feet to music. In contrast, other songs delve into the world of more complex harmonies and rhythms. The story line is a huge factor on this recording, so there is a lot to digest. I am having so much fun listening straight through the cd, taking in all the twists and turns on the story's roller coaster journey. Q: Could you explain the concept theme of this record a little bit further? Q: Was this a theme that you guys decided upon before writing, or did this come to life in the process? Rod: The idea of a concept album evolved after Ty took the completed bass, drum, and rhythm guitar tracks home with him and let thing stir for awhile. Q: It’s been a while since we’ve seen a The Jelly Jam release. How has it been to get together again after all this time for a new record and what does it mean for you to be working on a The Jelly Jam album again? Rod: It is not always easy for musicians with other things going on in their careers to find time when all 3 schedules line-up to get together. This is the reason huge chunks of time will pass before we can all find ourselves in the same room. 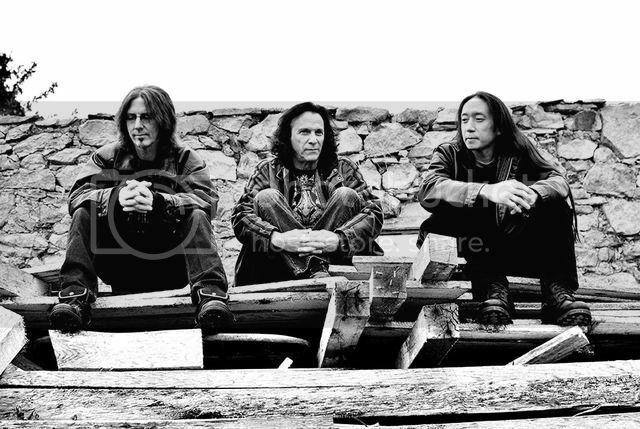 John is often busy with Dream Theater, Ty divides his time with King's X and his solo career, and I move around from Winger, Jazz Is Dead, Berklee College of Music, to occasional jaunts with The Rudess Morgenstein Project and the Dixie Dregs. But the 3 of us feel that ‘PROFIT’ is moving us toward being a real band. The band rehearsal last week has us pumped to move full steam ahead. Q: Do you guys approach writing for The Jelly Jam differently than you would for any of the other bands or music projects you’re in? Rod: We all come in to the recording process with various ideas, a bass line, an unusual drum groove, a chord progression or riff, and then we build things from there. It is a very organic process where, somehow, at the end of a day, there are 1 or 2 nearly completed songs with intros, verses, choruses, etc. Ty then takes the bass, drum, and guitar basic tracks back home and begins the process of writing lyrics, putting down the vocals, adding additional guitar parts, and then mixing everything. Every band is different in its approach to song writing. John Petrucci and Jordan Rudess wrote the music for the new Dream Theater cd, ‘The Astonishing’. In Winger, Kip and Reb Beach get together, and Reb just jams endlessly on his guitar while Kip records it all, eventually picking out the cool riffs and mixing them with other parts to create songs. I come in to record drums when at a minimum, a basic guitar and bass track have been laid down. Q: What would you say is the biggest difference between ‘Profit’ and previous records like ‘Shall We Descend’? Rod: The obvious difference between ‘PROFIT’ and the 3 preceding Jelly Jam recordings, is that ‘PROFIT’ is a concept album with a story line that is explained in the cd jacket song by song. The other cd’s are collections of songs that don't have a specific relation to each other, like on most records. Q: Do you already have a favorite song on ‘Profit’ and if so, could you explain why? Rod: I like several songs for different reasons. Initially, my favorite song was “YOUR STRONG BELIEF” because it instantly hit me as a melodic yet powerful piece of music, one that on first listen sounded like something I heard hundreds of times. My current favorite is “FALLEN”. The drumming is of the most basic drumming I have ever recorded. But the lyrics are so beautiful, as is the guitar solo. I find it quite emotional. As a musician whose career started in the fusion world with The Dixie Dregs, I was never one to focus on lyrics. Now I find that lyrics can be the most powerful part of a song. Q: Since The Jelly Jam sounds different from what you guys normally do musicwise, is there anything you’d like to say to people who aren’t a fan of the sound of those other bands your in, to convince them to give The Jelly Jam and ‘Profit’ a chance? Rod: To me, the cool thing about The Jelly Jam is that the casual music listener can instantly enjoy the music, as it is vocal-oriented, power trio, riff heavy music. On another level, for the musician, it will be instantly apparent that there is a lot absorb, as the harmonic and rhythmic complexities are cleverly written into the music in not always obvious ways. We do not consider ourselves to be a prog band. However, a prog music head will find plenty to sink their teeth into. Q: You guys have some tourdates planned in the States,which as you mentioned will be the first time playing together on a stage and touring as The Jelly Jam. This must be something you’re looking forward to? Rod: We are both excited and a little nervous (good nervous) in that, between us, we have nearly 100 years of touring experience under our belts. But, as we have never shared the stage as a band, until we play the first few notes at the first concert, I think we will all carry those pins and needles in our bellies. I guess you could call it nervous excitement. For me, it is so cool to be at this point in my career, some 40 years in, and still be over-the-top excited about a new band. Q: That is indeed really cool! Besides the States, are there any touring plans that you can tell us about, maybe any European dates? Rod: I think once we see how things shape up in the US, we will definitely set our sites on Europe, Asia, and South America. All of us tour around the world with our other respective bands, so why shouldn't The Jelly Jam make it way around the globe?! Q: Exactly and we sure hope to see The Jelly Jam over here in the near future! Last but not least, do you have any message for your fans and our readers? Rod: Of course I do! Thank you all for your support over the years for our various bands. It is YOU who allow us to create and share music with the world. Without YOU there is no music and there are no bands. John, Ty, and I are so pumped about the band and the new cd, and the prospect of bringing the music to the people. I hope you will give us a shot. Rock On! I would like to thank Rod again for taking the time to answer these questions. 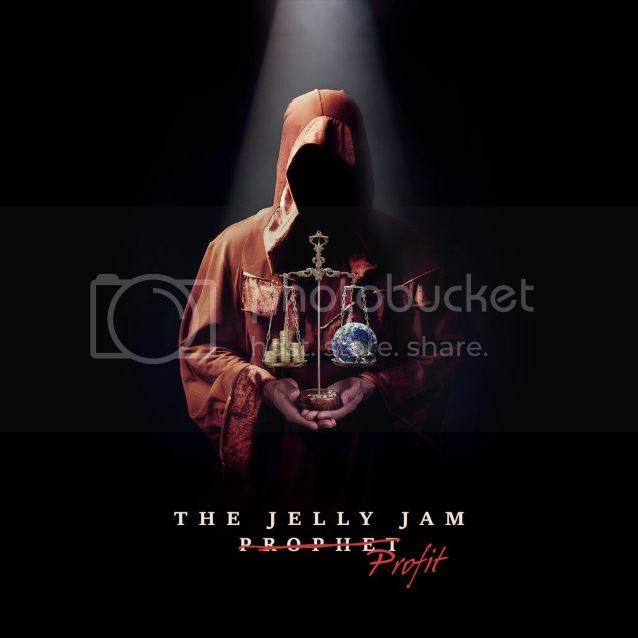 ‘Profit’ by The Jelly Jam will be out on May 27th through Mascot Label Group. Keep an eye on our website for an album review.